A day after police shot a man in Santa Maria, a gunman shot and wounded a man at a gas station in the city. The two shootings are unrelated. Police are still searching for the gas station shooter. At 4:11 p.m. in Thursday, Santa Maria police officers responded to a shooting at Betteravia Road and Bradley Drive. Officers found a wounded adult male. A helicopter transported the man to Cottage Hospital in Santa Barbara. The extent of the victim’s injuries is unknown, but the man is expected to survive, according to the Santa Maria Police Department. KCOY reports the shooting followed a heated argument in Spanish at one of the gas pumps at the Conserve Fuel station. A witness said the driver of a white pickup returned to his truck, pulled out a gun and shot the driver of a black SUV. The bullet struck the victim in the head. Police describe the suspect as an Hispanic male who fled in a white American-made pickup truck. Witnesses last saw the suspect heading eastbound on Betteravia Road. Investigators believe a Hispanic woman, as well as another passenger, were fleeing with the suspect. On Wednesday, Santa Maria officers shot and killed a reportedly suicidal man who charged at police while holding a knife. The shooting sparked a heated debate in the city about use of force. There have now been at least three shootings in Santa Maria this month. Earlier in the month, a man was shot and killed at a July 4 block party. 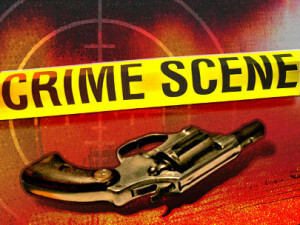 A juvenile was also shot and wounded during the incident. Santa Maria residents recently experienced a lull in violence before and after a March police operation targeting Central American gangsters. However, violence has picked up in recent weeks with multiple shootings in the city in both June and July. “American-made”? All Toyota and Nissan trucks are made in the USA. Fords and Chevy’s are made in Mexico. And here is what Obama had to say about all this violence today. Is he delusional or do his groupies believe anything he says? Comments like this just prove how easily the public is influenced by the media. Take a long, careful look at statistics from the FBI and elsewhere. Violence IS decreasing in general. Some aspects of violence are not decreasing and violence is not going to disappear anytime soon but there is less of it than there was 30 years ago. Why do so many people think otherwise? Simple — we are now exposed to media coverage of everything, everywhere, all the time. Since violence and other emotionally stimulating information is what attracts eyes/ears, that is what is emphasized in media coverage. It gives a disproportionate emphasis on the bad things happening because people tend to personalize such events and subconsciously think of all incidents as happening nearby where they are often just a sampling of events in a nation of over 300 million people or in a world of over 7 billion. Bad things have always happened but time and distance used to make coverage of them less impactful on our collective minds. We may not have appreciated how much these things happened in the past too but we tend to over-react the other way now. BTW, I have many criticisms of Obama — including his use of this same fear of violence to promote gun control. But I refuse to adopt the partisan mindset that everything he says is automatically wrong. Year to date 373 homicides. This is Obama’s town. Strictest gun laws in the land. The continuing problem with violence in Santa Maria grows worse as North SB County political leaders sit on their thumbs, and the ‘Sanctuary City’ of Santa Maria is once again coming back to haunt the city and its residents. SB County Supervisor Steve Lavignino and SM Mayor Alice Patino both favor ‘Sanctuary City’ as a favor to their political donors, the wealthy strawberry farmers. Santa Maria has, essentially, been turned into a bedroom community for the strawberry farmers illegal alien labor source, and legal residents are seeing the violence and mayhem all around them as row-crop farming has taken on increased prominence. he problems in santa Maria are affecting home values and good families are fleeing to safer communities. Sadly, while the politicians sell out the residents, the city has catered to the illegal alien/gangster mentality, and Santa Maria now has a national reputation as a ‘sanctuary City’. But The sign says “Americas City”? With each passing day, Santa Maria becomes Scary Town, USA. Couldn’t be illegal aliens.. just couldn’t. Right moderator? Going to delete my post for using “Illegal alien” Then you ask for donations …. yeah sure. Police reports mostly don’t note immigration status if the person is a citizen of the US or otherwise legal. So you put up a comment you think will be deleted, then complain about it before anything has happened? Oh boy, gotta love Santa Maria! I bet they have the cheapest houses for sale in the area. They keep saying they are not a sanctuary city but they must be playing by the same rules, haven’t been there for years, wouldn’t go there for anything. I understand the safest zones are the gated communities. Use to be a great place to go shopping, good dinner and a fun family day with a round of mini golf. Now, step on the gas peddle and fly by on the freeway and head to Santa Barbara! folks it dont get any dumber than this. The last word is not available.